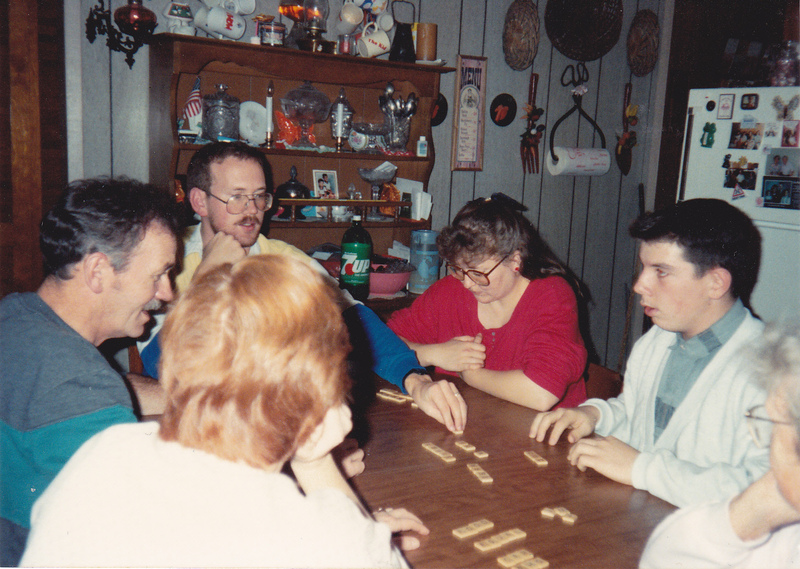 Playing games has always been a fun Thanksgiving Day event. Here, in 1993, we are playing "Fast Scrabble" at Grandma's house. 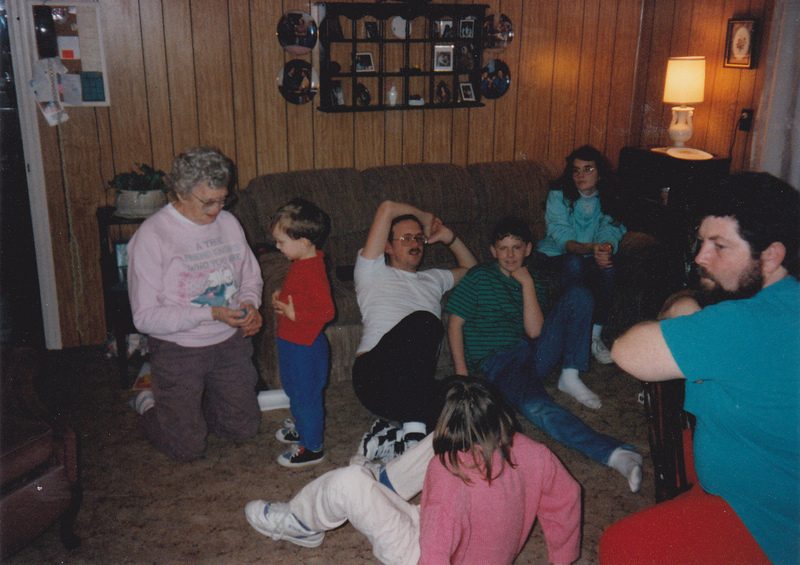 Pictured from left to right: Mom, Dad, my brother Daniel, his wife Julee, one of my nephews, and Grandma. 1995 at my sister's house. Pictured: Grandma, my nephew James, my brother Daniel, nephew Ryan, Me, brother-in-law Darren, and niece Amanda. 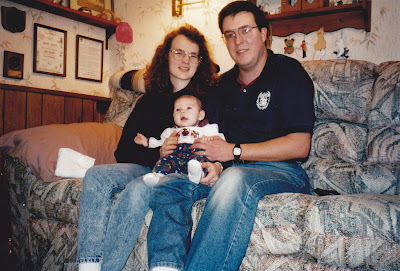 1998 - Our first Thanksgiving with our little EL. We are at the home of David's parents - the home he grew up in. 1999 - Hanging out at our house on Thanksgiving Day. 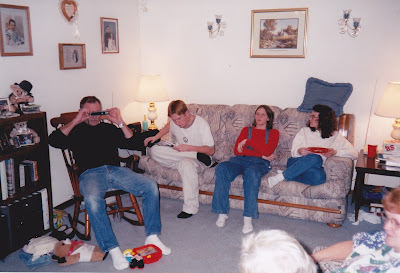 Pictured: Dad (taking a picture), my nephew Ryan, niece Amanda, Me, Mom, and I think that is the top of Grandma's head next to Mom. 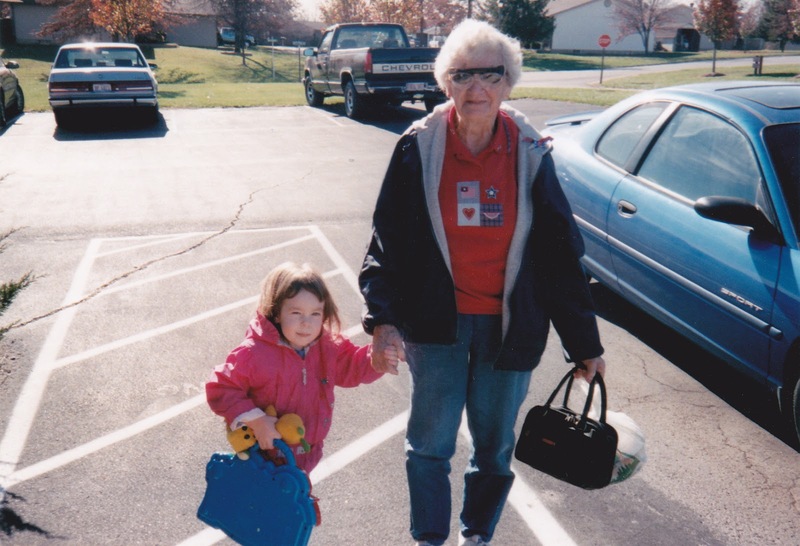 2001 - I love this picture of Grandma with little EL, holding hands on our way in to a restaurant. We decided not to cook that year, and all went out to eat. 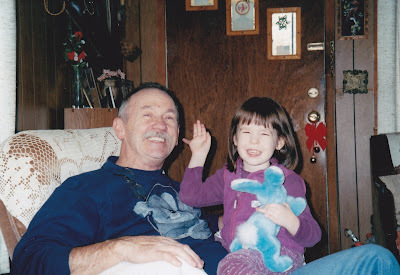 2002 - A fun picture of my dad and little EL at Grandma's house. 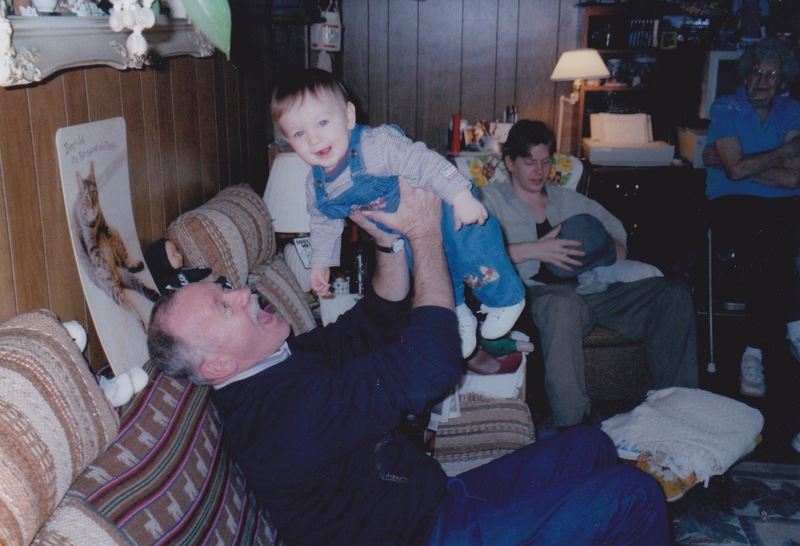 2003 - Another great picture of Dad - this time with little JJ - at Grandma's house. My nephew Ryan and Grandma are also in this picture. 2004 - We had Thanksgiving with David's side of the family this year. 2007 - Celebrating an early Christmas on Thanksgiving Day at Grandma's house. 2008 - Mom & Dad came to our house on this year. 2010 - This was one of my favorite Thanksgivings. Both my parents and David's parents were at our house that year, as well as David's brother. 2016 - This was our last Thanksgiving with Dad - another favorite year for me because all of us were together that year - Mom, Dad, my sister, brother, Me, and some of each of our families. Enjoy your Thanksgiving Day. Celebrate the blessings the Lord has given to you. This bittersweet post meant the world to me today. Love you, James. Happy Thanksgiving. Thanks for sharing Vicky. What wonderful memories to have.